Today I have a card for newborn baby . 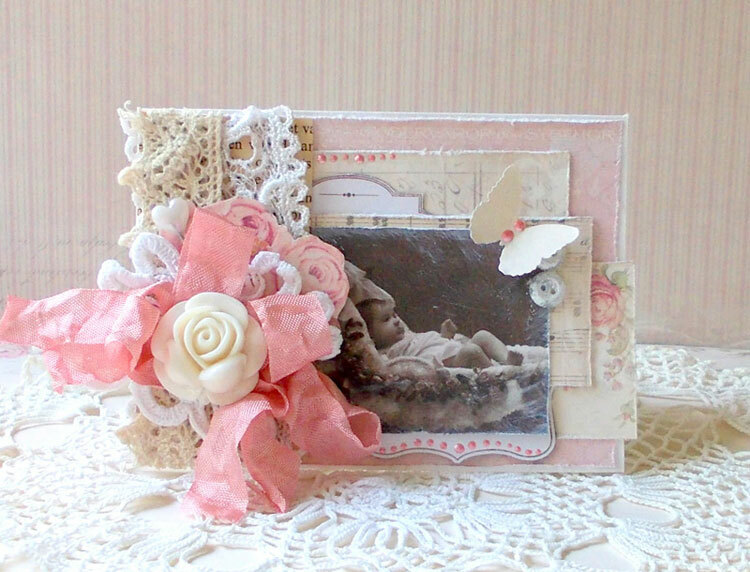 For this card I used paper from the new collection For Mother and Från Mormors Vind. Also used lace, butterflies, silk ribbons, caboshon and buttons. This is really beautiful, I love the image and gorgeous bow.